I am throwing a party for my Grand Opening of The Shade Tree a DIY Garage in Midwest City. 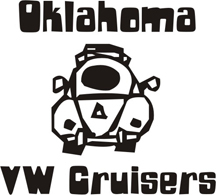 I am open 11 AM until 11PM every day and will welcome the WHOLE OKVWCRUISERs crowd to come out and hold an official meet and Get together. I am offering some hotdogs, burgers, and some music while everyone hangs out and just enjoys the day, the cars, trucks, and motorcycles.. and who knows.. maybe turn a few wrenches.. or just check out the shop. Hope im back from my work trip by then! I'll be able to make it down there.